Bollywood actor Emraan Hashmi, who held onto the tag of 'serial kisser' for nearly 14 years, feels media stretched that tag a bit too long. The 38-year-old actor, who made his way into Bollywood with crime thriller 'Footpath', was quick to gain the title of a serial kisser, thanks to choice of films like 'Murder', 'Aashiq Banaya Aapne', 'Aksar' and 'The Train' to name a few. While talking exclusively to ANI, the 38-year-old actor said, "I have not held onto the tag of serial kisser, media did. My contribution to the tag was only 2 years and for the rest of 12 years, media stretched it. It's very amusing for me. I let it go off long time ago, now I don't even think about it. I think people need to be slightly more innovative, you don't have to be an actor with a tag. So, I think that's the way I see my career after this." "I don't want to associate myself with particular label or genre because things in cinema change very rapidly. I think it's very important not to be a star but to be an actor who plays different characters. And that's only way you work in film industry. That's the way I see myself," he added. 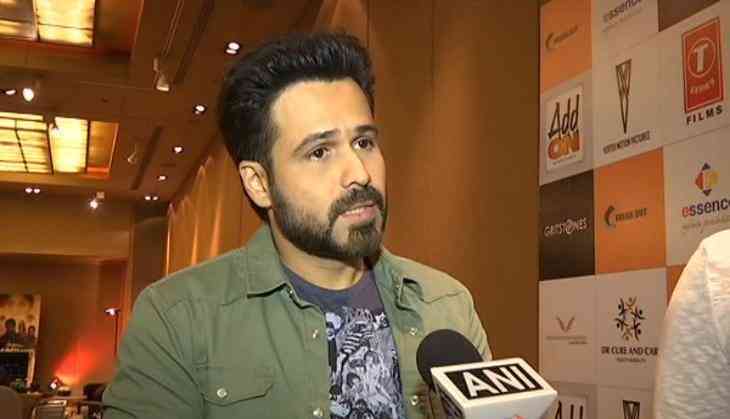 Emraan, who has recently completed 14 years in the industry, also talked about his journey and shared, "During this journey, I have meet some really good people and have learnt some lessons. For me every day is a new day. Every film comes with its own sets of learning experiences and that's how I take it up. I feel one should keep striving and try to do better work." The 'Hamari Adhuri Kahani' actor was recently in the national capital on a promotional spree of his film 'Baadshaho' along with actor Ajay Devgn, Ileana D'Cruz, and director Milan Luthria. Set during the emergency period, ' Baadshaho' will hit theatres on 1 August.